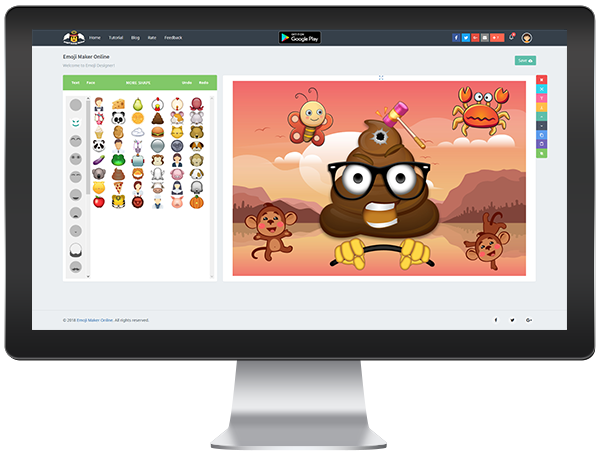 Emoji Maker Tools to help you create your own emoji and share it with your friends. Emoji Maker Online is very simple to use and it is completely free. You are bored with the default emoticon? You want DIY Emoji? 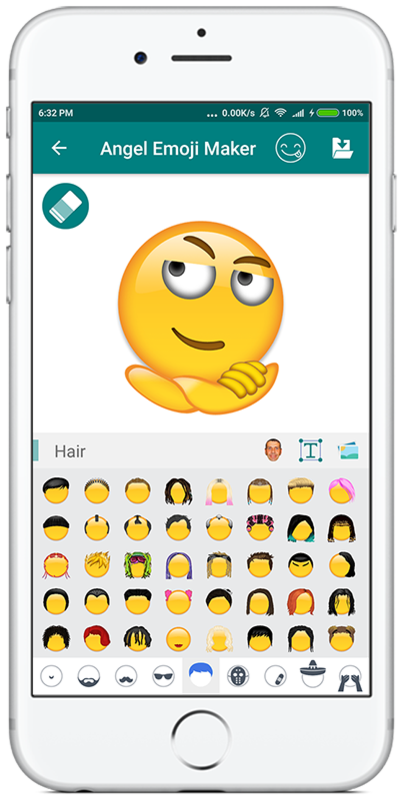 You want to create your own emoji? Emoji Maker Online Tools will help you do that. 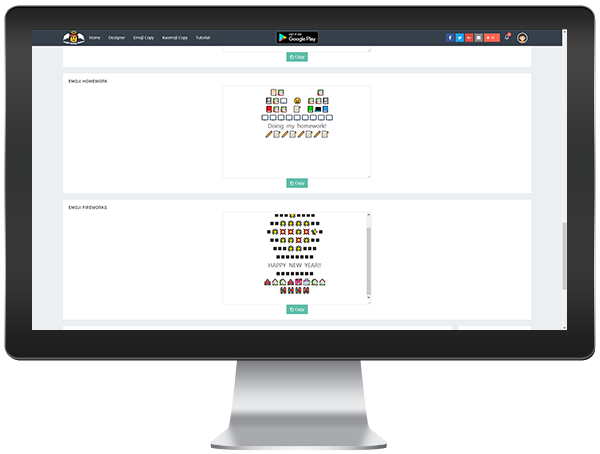 Emoji Designer allows you to create emoji with many functions. You can create, edit, move, zoom in, zoom out, delete,...emoji components. 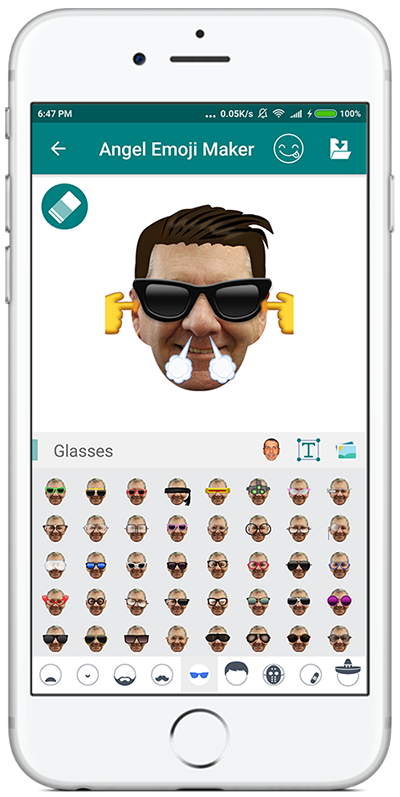 Face Emoji Maker allows you to create emoji from your face. You can also use friends' faces and create face emoji to tease them. 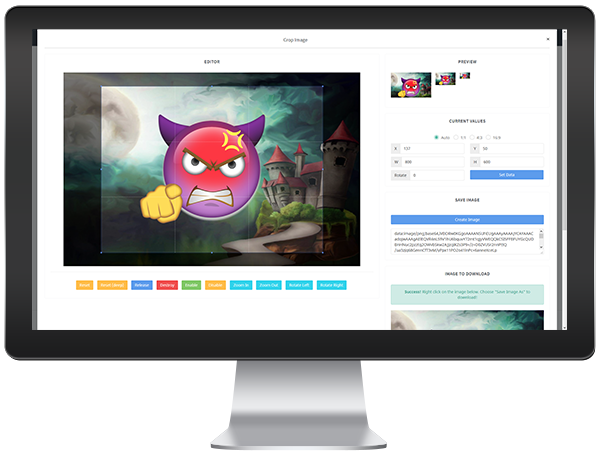 Professional Emoji Designer with beautiful user interface, bring the best experience. Emoji Maker Online has many emoji shapes for you. Emoji Shapes such as: Common Emoji Shapes, Animal Shapes, People Shapes... 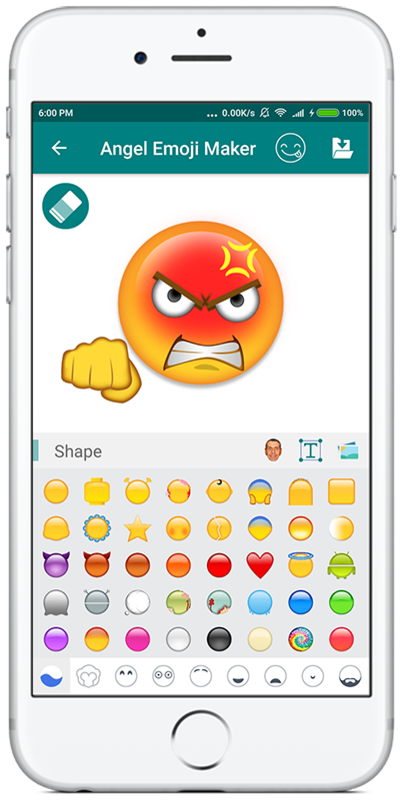 Choose a shape then start designing it with many emoji components. Select the emoji component in the left panel and edit it in the editor panel on the right. Very simple, right? 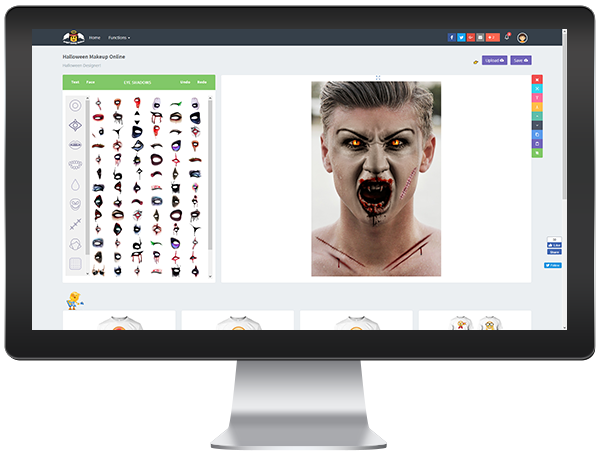 Face Emoji Maker is the function create emoji from your face. This is a special feature of Angel Emoji Maker - Emoji Maker Online. To use this function, please upload a picture of your face. Then cut the face with the pattern in Face Editor panel. 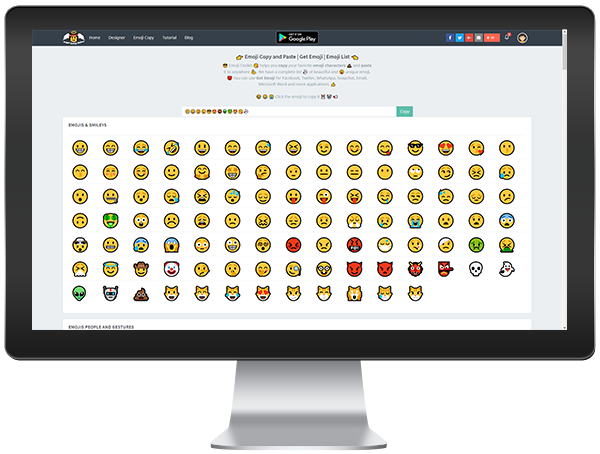 Design emoji face with emoji components. You can use friends' pictures to create emoji. Emoji Text is the function that add text to emoji. 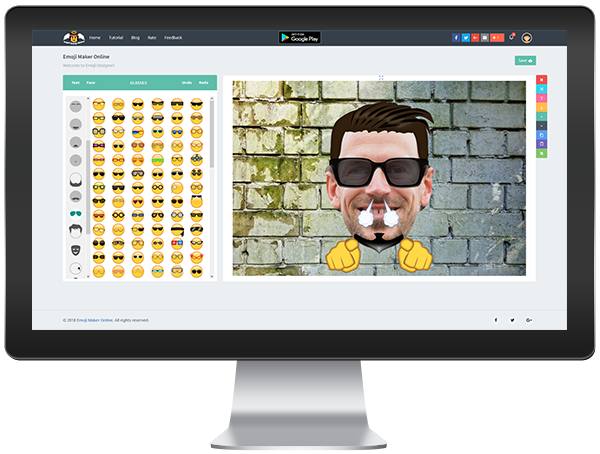 Emoji Maker Online give you a professional tool allows you to create and edit text with all the necessary functions. You need to enter text, select a beautiful font, edit text size, text color, text style... and see the changes directly in the preview panel. With this function you can create a Meme and share it with your friends. Emoji Backgrounds is a fun background function for emoji. 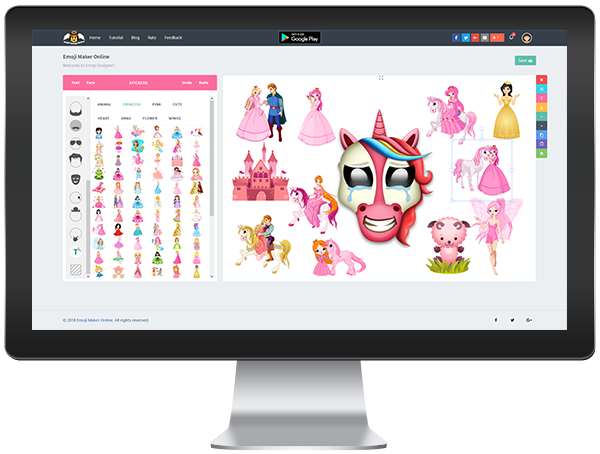 Emoji Maker Tools gives you a lot of beautiful backgrounds with many different themes such as: Color, Cartoon, Animal, Scenery, Love... You can enjoy creativity, DIY Emoji your own, design emoji the way you want. 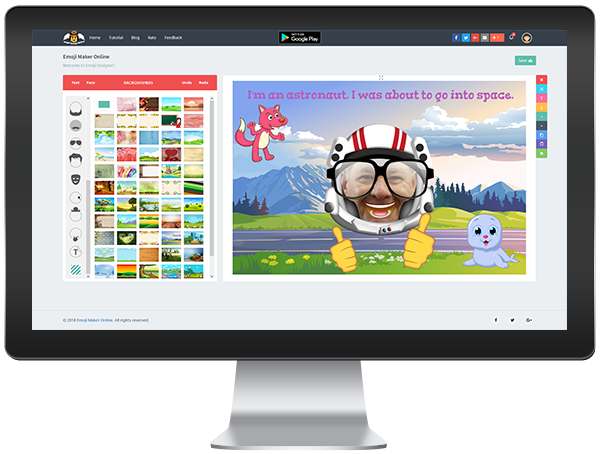 Lots of nice sticker themes for you. Angel Emoji Maker available a lot of stickers under the theme such as: Animal, Princess, Pink, Cute, Heart, Xmas, Flower, Wings... Sticker makes your emoji more lively and outstanding. You can use stickers to design special and cute emoji. 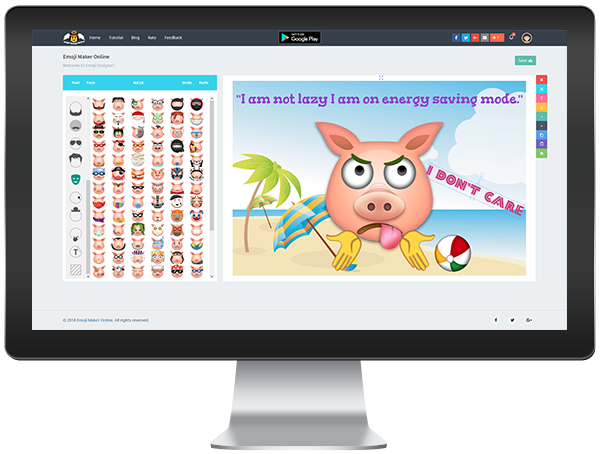 We will update many new sticker themes regularly. Save Emoji with multiple options. This function helps you save emoji after design completion. (๑￫ܫ￩) Kaomoji | Japanese Emoticons and Emojis ♨o(>_<)o♨. Application of Angel Emoji Maker - Emoji Maker Online available on Google Play Store with full functionality. Please download and use the app version on smartphone Android. 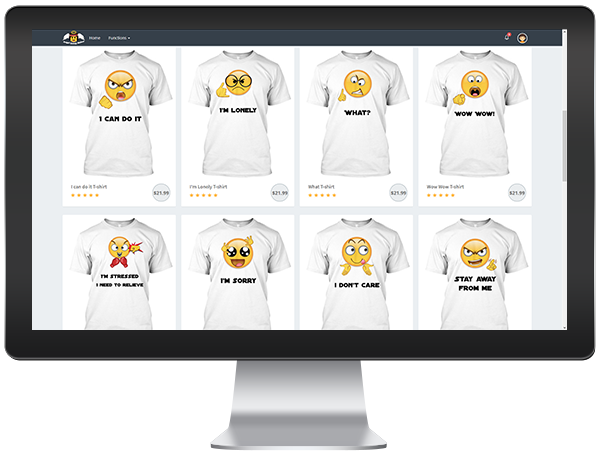 Website and App developed and operated by Emoji App Studio. We reserve all rights on this website. Any feedback please send to: emojiappstudio@gmail .com. If you like Angel Emoji Maker. Please share it to your friends to support us. Thank you!